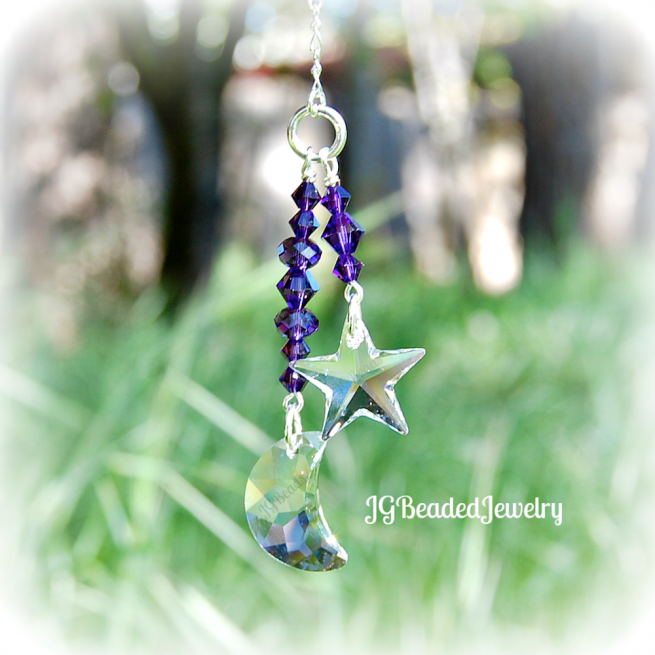 This purple moon and star Swarovski crystal decoration is uniquely crafted for the rearview mirror or a window at home, the office, nursery or wherever you choose! 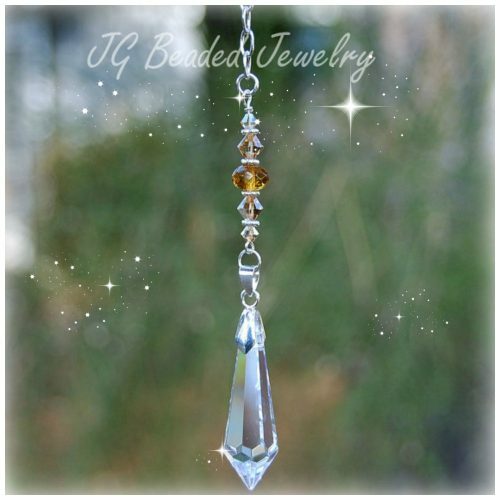 The Swarovski crystal moon and star have varying lengths which gives them an elegant look. 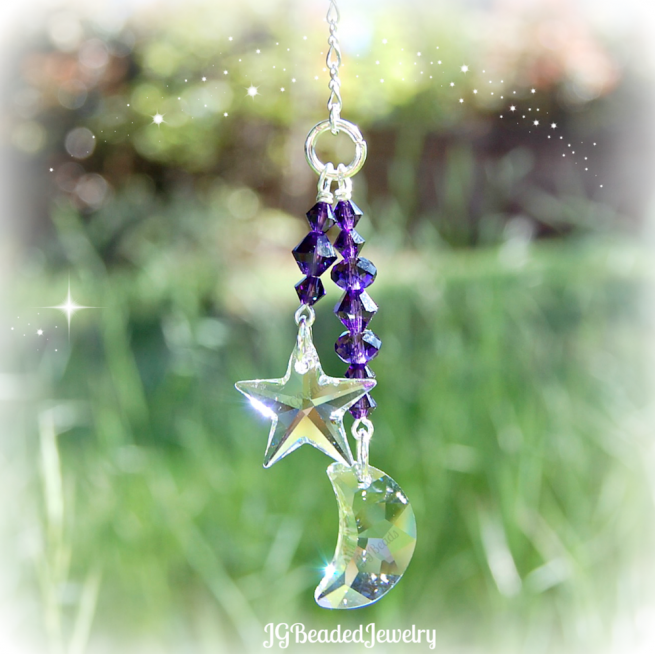 They measure approximately 20mm and are embellished with purple Swarovski crystals, purple faceted crystal beads and is wire wrapped for strength and longevity. 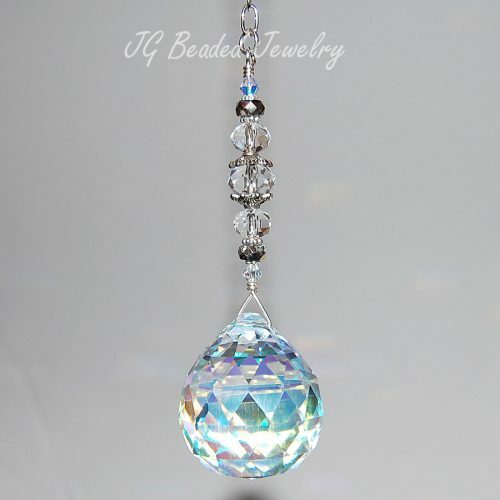 Swarovski is the best of the best and are known worldwide for precision cut quality crystals. They will add an elegant touch to your home or make a lovely gift! 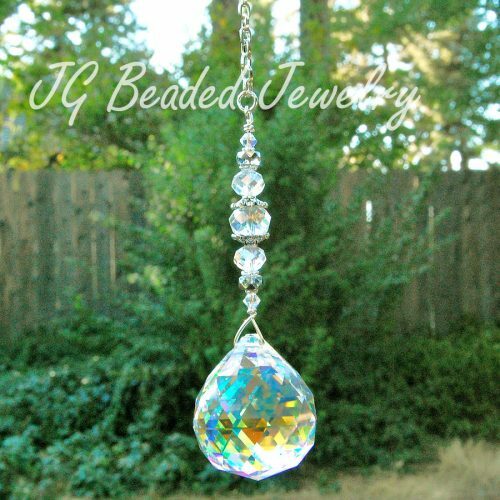 If you would like more than the quantity available, prefer alternate colored Swarovski crystals, please send a message with your request before placing an order and we can go from there. 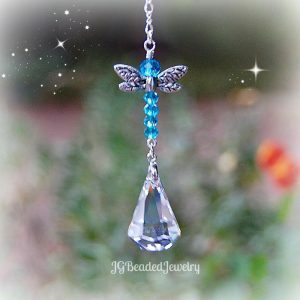 ♥ Sending it as a gift and wish to include a personal message? Leave a message at checkout and I will take care of the rest!